You are here: Home / Archives for By Saint / Abba Theodore ca. 4th cent. Now the works of the flesh are clearly revealed, which are: adultery, fornication, uncleanness, lustfulness, idolatry, sorcery, enmities, fightings, jealousies, angers, rivalries, divisions, heresies, envyings, murders, drunkenness, revelings, and things like these; of which I tell you beforehand, as I also said before, that the ones practicing such things will not inherit the kingdom of God. 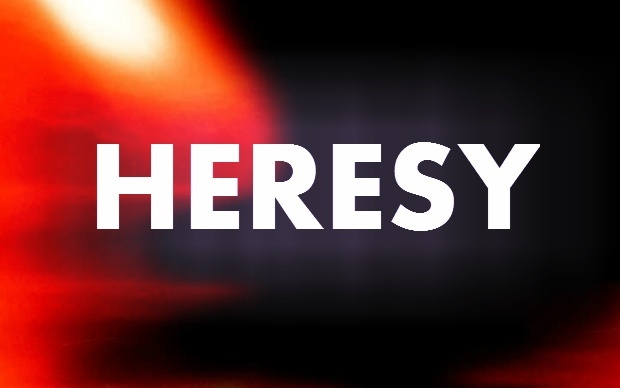 The word “heresy” is from the Greek word αἵρεσις (hairesis), a word meaning choice, course of action or in a extended sense, school of thought and hence inherently implies a conscious, deliberate and willful rejection or opposition to the Divine Truth manifest in the Orthodox Church. Here, possibly, some one may ask, ‘Do heretics also appeal to Scripture?’ They do indeed, and with a vengeance; for you may see them scamper through every single book of Holy Scripture,—through the books of Moses, the books of Kings, the Psalms, the Epistles, the Gospels, the Prophets. Whether among their own people, or among strangers, in private or in public, in speaking or in writing, at convivial meetings, or in the streets, hardly ever do they bring forward anything of their own which they do not endeavour to shelter under words of Scripture. Read the works of Paul of Samosata, of Priscillian, of Eunomius, of Jovinian, and the rest of those pests, and you will see an infinite heap of instances, hardly a single page, which does not bristle with plausible quotations from the New Testament or the Old. St. John Climacus ca. 7th cent. “To lapse into heresy,” I replied.